Most of our deployment queries (including the build & deployment output) from the Visual Studio 2010 database solution (SQL Server Data Tools (SSDT) for SQL 2012 Denali) generate their output in SQL queries designed to be executed under the CMD mode. Many of our pre-designed debugging scripts are also written to be executed in the SQLCMD mode. To simply the day and to save a couple of steps of going to the Query menu and choosing the SQLCMD mode, the SSMS on the each team members’ workstation has the “Open new queries in SQLCMD mode” switch set by default. 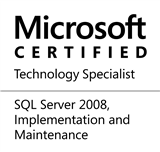 To the best of my knowledge, this feature is available from SSMS for SQL 2008 and above (I have not checked SSMS for SQL Server 2005). Once set, any new query editor window that opens (after restarting SSMS) will open in the SQLCMD mode. If you use SQLCMD mode a lot, I recommend that you keep this switch checked in your environment too. This entry was posted in #SQLServer, Blog, Imported from BeyondRelational and tagged #SQLServer on June 28, 2012 by nakulvachhrajani.